To date, the Ministry of Internal Affairs there is a problem not staffing personnel. 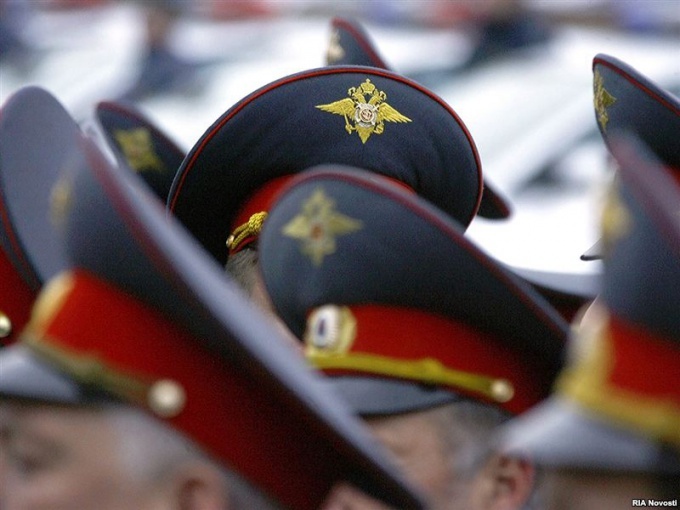 It is connected firstly with massive cuts during the reform of the interior Ministry held at the initiative of Dmitry Medvedev. 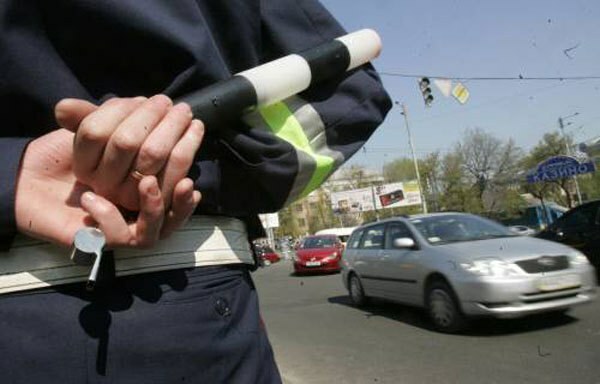 According to statistics published on the website of the Ministry of internal Affairs, the most acute shortage of staff is felt in the state automobile Inspectorate of the Ministry of internal Affairs (GIBDD). In this regard, in 2014 the regional offices of the traffic police is actively attracting new employees to officer positions. In this regard, I decided to tell you how to find a service/work in the State inspection of safety of traffic (GIBDD, GAI). - excellent physical preparation and health. - no criminal record the applicant and his relatives. Management of traffic police practically does not publish the vacancy, but that does not mean they do not exist. I recommend to call the Office of the traffic police or the regional division in your subject and find out the phone number of the HR Department. Calling the HR Department You will learn about the vacancies and employment opportunities. If vacant posts are available, then find out the days and times of work of the personnel Department. Also I recommend to ask about the specifics of the posts. They are civilian and military. If the vacant position civil and You are happy with, then the "uniform" you can forget. Shoulder straps and titles will only receive applicants for officer positions in the event of employment. Report to the HR Department with a package of documents: passport, red military ID, driver's license, autobiography. If there are positive characteristics from the place of study, military unit, designated the former work, make sure you take them with you. If you have achieved success in sport, then take a bit book. I also recommend to get a positive response from your district. Next, You will be sent for medical examination. Don't worry, this survey is completely similar to the military-medical Commission that You held prior to military service. But in order not to lose the passage of time, I recommend pre-visit your dentist and Laura to remove minor "problems". You also need to be tested for professional suitability. Please do not worry and answer honestly. The interior Ministry employs professional psychology, which is in doubt as to your candidacy send you on passing the polygraph. From personal experience I would say: questions on a polygraph personal, sometimes intimate nature. Flunking a polygraph every third. If You have received approval from all the doctors and psychologists, you can assume that half the job done. Now wait for the call from HR with an invitation to the sports database to check your fitness. The standards of physical preparation of employees of the Ministry of the Interior You can find on the website of the Ministry of interior. To be honest, this is the school regulations for pupils 11-x classes, but people who served in the army and he studied for 5 years at the University can't do them. When I 3-e candidates are unable to catch up two times. After passing the standards of physical preparation, you will pass a 3-month paid internship. If you have successfully passed training, you are to be congratulated comrade Lieutenant! The length of service of the traffic police is 1 year for 1.5 years. If You are dreaming of high ranks, in traffic police you will get them much earlier. But it is necessary well to carry out your duties and not to take bribes. 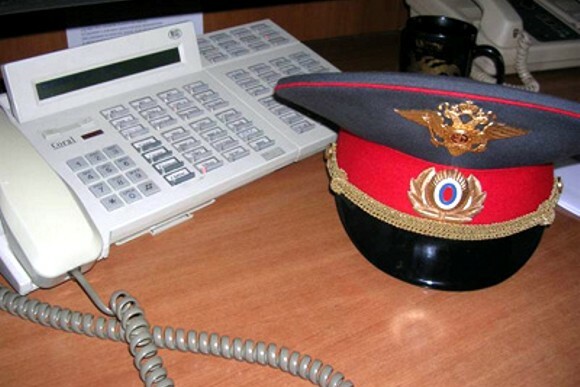 The average salary of police in the rank of Lieutenant is 45 000 rubles. If You have friends or relatives in the traffic police or any other Agency of the interior Ministry, enlist their support. With the passage of the fee that will not help You, but at traineeship support "over" you will be very useful. If you want to join the police, be prepared for some difficulties. But the police work the same ordinary people like us. Therefore likely to get there in good physical and mental health you have enough. Go straight to the HR Department, inquire there, do you have a vacancy. Most likely, the job will really be. Then you can move on. By the way, if you have a legal education, will support you in the personnel Department, and further the process of adoption in valorous ranks of the police will be faster. If legal education is not, rely only on his desire. You most likely will be offered the position of investigator or inspector on Affairs of minors. It's not sugar, but at first can't be choosers. Why settle for what is offered. Then you have come the medical. This is the most difficult and tedious part of the whole process. Doctors usually picky, rude, demanding inquiries especially. But that's okay. Be patient and radiate goodwill. If the first time does not have passed some of the doctors, ask and assure that you would pass in the near future. Otherwise, your medical record will close. In the queue examined by a psychologist (SWC), which will give you the tests which requires a clear answer "correct" or "incorrect". You need to be very careful, as the issues can be a trick. After the psychologist you will be training. You for 3 months will be sent to the police school, will pay travel. When you successfully pass training, you will become a full-fledged police officer. A legal education will provide you with the rank of officer. It was difficult to do before, and in our time, indiscriminate cuts in the power structures, this task becomes virtually impossible. If you do decide to try achieve their goal, we'll show you some steps to realize it. 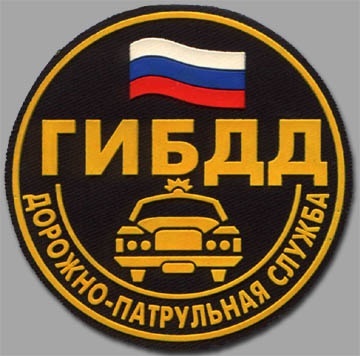 Be aware that the service of the traffic police unit are accepted citizens of the Russian Federation from 18 to 35 years, served in the Russian army. You must have completed at least secondary vocational, although higher is welcome (including a military Department), to be fit state of health and capable in his personal and professional qualities to perform assigned duties. If you have been convicted or tried by your close relatives, you definitely will not accept the service. Refer to the territorial division of traffic police with the statement for consideration of your candidacy for employment. Remember that you should definitely have a driving certificate for driving a vehicle of category "b" and "C" and to have good driving skills. Pass the medical examination (military-medical Commission). You should not have chronic diseases. Very well, if you have achievements in sports. Pass the test of professional competence, which includes assessing the psychological balance of the candidate. Get a positive response at the place of residence of his police commissioners. Be aware that the reason for the denial of employment can become willful violation by the candidate of the SDA (traffic rules), which are recorded in the electronic database of traffic police. Remember that when applying for a. skills proficiency with computers, and for inspectors of traffic police are required. Now, armed with this knowledge, you can safely try to get a job in the traffic police. It is clear that it is useful to seek support in the face of "Almighty wizard". Good luck to you! 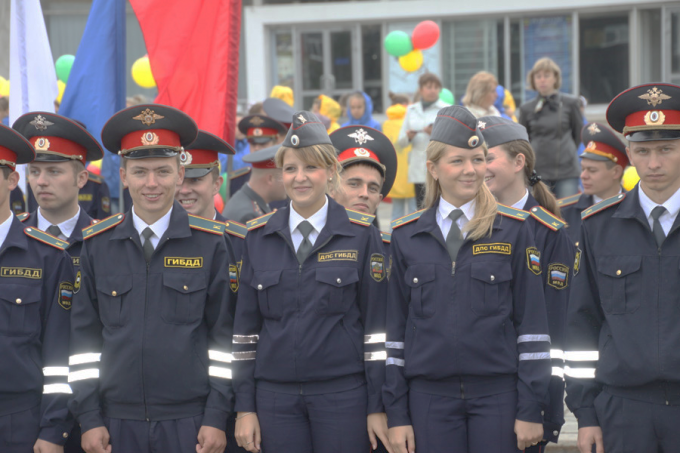 Each year the division of police of the Russian Federation adopted more than a thousand new employees. There are certain General requirements for candidates seeking to work in bodies of internal Affairs. However, in some of the regional police Department rules of admission to certain positions may vary. First, you need to contact the place where you want to get (to the district or city Department, etc.). The appointment to the head office and pass an initial interview. In the presence of free vacancies in the staff and approved by the chief, get in the personnel Department application forms and carefully fill them. After you have submitted an application to the personnel Department give you a list of documents to be submitted by a certain date. This biography, completed application, insurance certificate, INN, and numerous copies of other documents. Next, you give direction to the military medical Commission (VVK). However, before her passing, you have to gather some help from the local clinic, drug treatment, mental and TB dispensaries (not are on the account). Take the civil clinic outpatient card statements for the last years and are the collected reference for IHC. Immediately you give the act you want to go through 5 doctors. The final verdict made by the Chairman of the VVK. Such a Commission pass is quite difficult, so you must be confident in your excellent physical health. VVK if you were found fit for service in the police Department, the next challenge will be the passage of JRS (psychological examination). In the process of passing psychological tests, you can offer to be examined on the "polygraph" (lie detector). Try to answer the questions sincerely, as this will depend on the final decision of the Commission. Next, gather all of your medical records and go with them back to the personnel Department. The final stage of the device to work in militia (police) will receive the referral to specialized training, which can last up to six months. Before the trip, you receive a corresponding certificate and after training in a special centre you become a policeman (the police). An important factor when applying for a job in the police males is service in the armed forces. If you are applying for any high position in the police Department, you must have the appropriate legal education. In accordance with the law, you must be 18 to 35 years. And most importantly - has to be a calling to this work. The police is an interconnected system of organs, endowed with authority, has the purpose of protecting the rights and freedoms of citizens, counter crime, protect public order, property, ensuring public safety. The service in police is regulated by the labour legislation and the laws on the procedure of service in organs of internal Affairs. - the ability in his personal and business qualities, physical fitness and health to perform duties of a police officer. 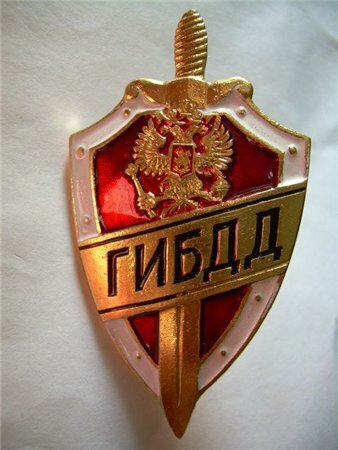 Can't the police serve the people, not permanently residing on the territory of the Russian Federation, having a residence permit, prosecuted for committing a crime, repeatedly brought to administrative responsibility in the last year to a work position in the police. Citizens wishing to serve in the police force relegated to the HR Department required documents (application for the work, CV, work book, copy of passport, etc. ), for admission applicants for the position pass psychophysiological researches, testing, detecting alcohol, toxicology or drug addiction. The adoption of a citizen at the service issued the order on appointment to the post, and then start up a private business. In order to test his skills again entered the service appointed on probation from three to six months. During the probation period the police officer is considered a trainee. The probationary period is included in the length of service in the police. 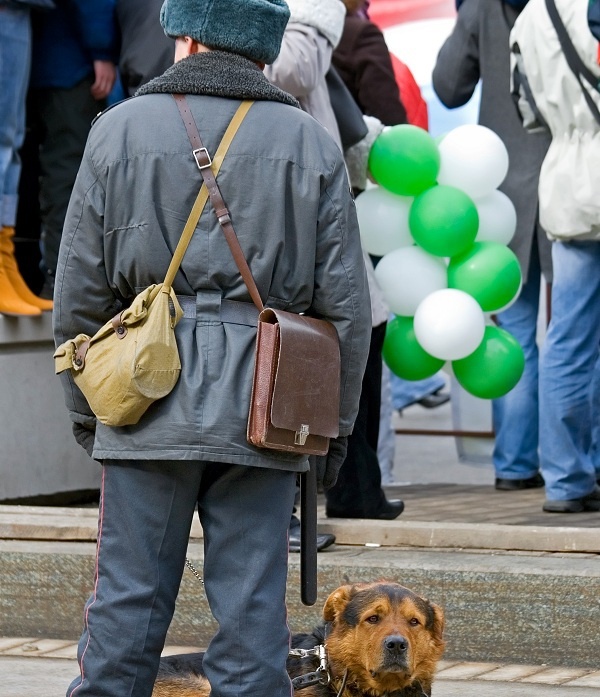 When applying for the service on the citizen is issued a personal guarantee, which serves as a guarantee that the applicant for the position will be to comply with the legislation of the Russian Federation, as well as all restrictions and prohibitions connected with service in police. Such a pledge can only give a current police officer with experience of not less than three years. Public service gives the employee a variety of benefits, such as stable labor costs and the ability to obtain various benefits. The same can be observed in law enforcement agencies, for example, in the traffic police, which is still attractive for people looking for work. Go to the website of the traffic police of your city or area. 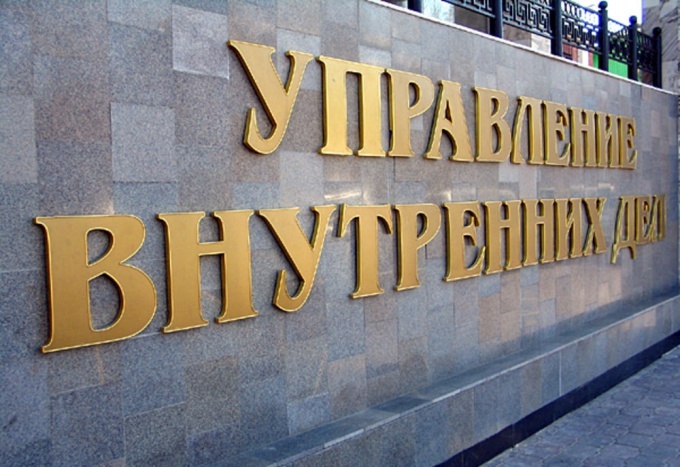 You can find it using the search or through the official website of traffic police of Russia http://www.gibdd.ru/info/study/. Contact your local Newspapers with a list of jobs or employment. Stand on the account at labour exchange or come directly to the personnel Department of the traffic police in your residence. Review the proposed jobs and requests to the applicants. For admission to the lower positions you do not need special education, it will be sufficient certificate of completion of school. In this case are requirements to age - not older than 35 years. Also required good physical shape and the passage of the last service in the army. If you meet the requirements, report to regional management of traffic police with the military card, a certificate, a diploma of secondary or higher education (if available). It is desirable to attach to the documents a detailed CV describing your education, skills and experience. In management you will be able to pass the necessary tests, both psychological and physical, and in good circumstances you'll be taken to a road patrol. To progress to more senior positions receive appropriate education. It is available in different universities of the interior Ministry. 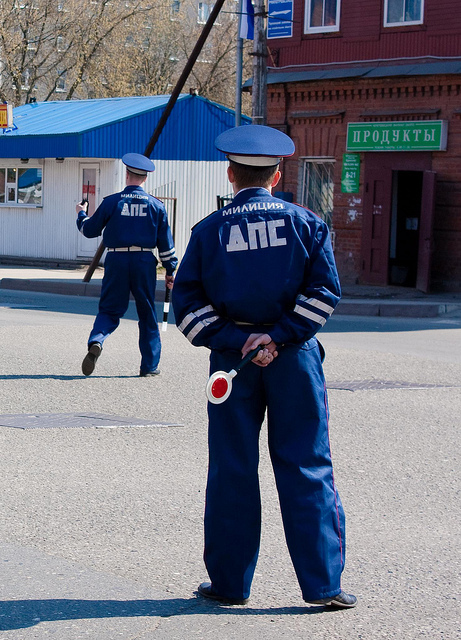 For example, in Orel Institute of the Ministry of internal Affairs you will be able to specialize in the preparation as a future employee of traffic police. Education loan for five years, and at the end of the course you will be eligible to already apply for the officer post. You can also combine study and work in this University have the opportunity to attend classes at the evening Department. Upon successful completion of the course you can count on a job distribution by specialty. The interview and tests try to show your ability to handle stress, which is a prerequisite for the employee dorozhno-patrol service.